Key West Suites - A 'flat' style dwelling unit in a private residential building or smaller exclusive complex. Outside grounds have private and semi private amenities that vary with each property. Suites and flats usually range in size from one to four bedrooms. 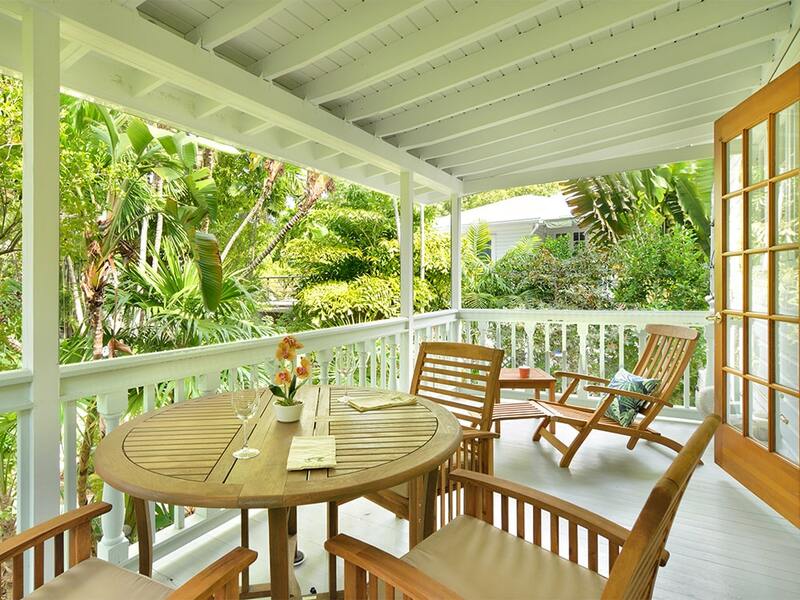 View our exclusive Key West vacation rentals. 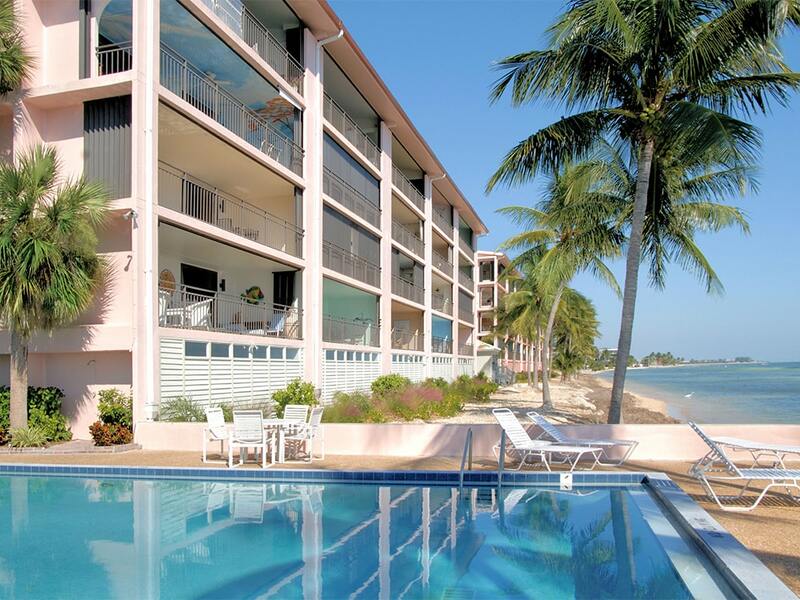 Vacation Homes of Key West can help you find the perfect vacation rental for your next Key West vacation. Don't pay booking fees, save money by booking directly with VHKW today. When taking a selfie at the iconic Key West Mile Marker 0 just isn’t enough, now you can luxuriously live right next to this famous landmark ... in luxury and style! Great view of Duval St. below in the 700 block. 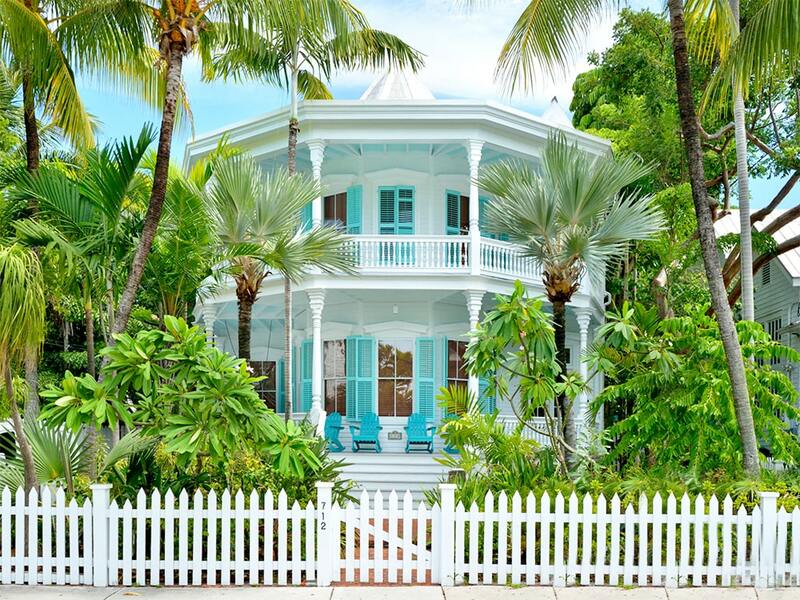 Perched just above the fun and frolic of Duval Street you're sure to capture the "island beat" that stirs this tiny tropical island of Key West, Florida. 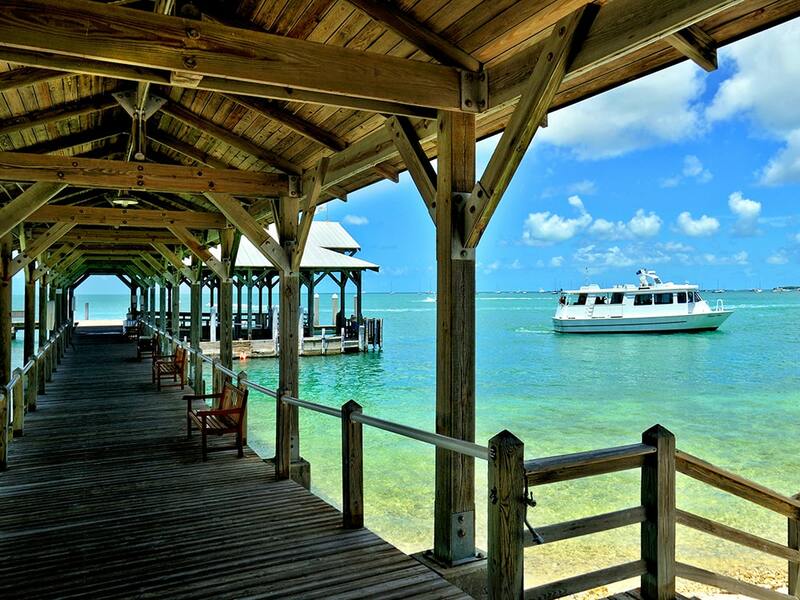 Easy stroll to Mallory Square and South Beach. Private back deck at end of lane off Duval St. in the 700 block. Island urban. Best for Adults. 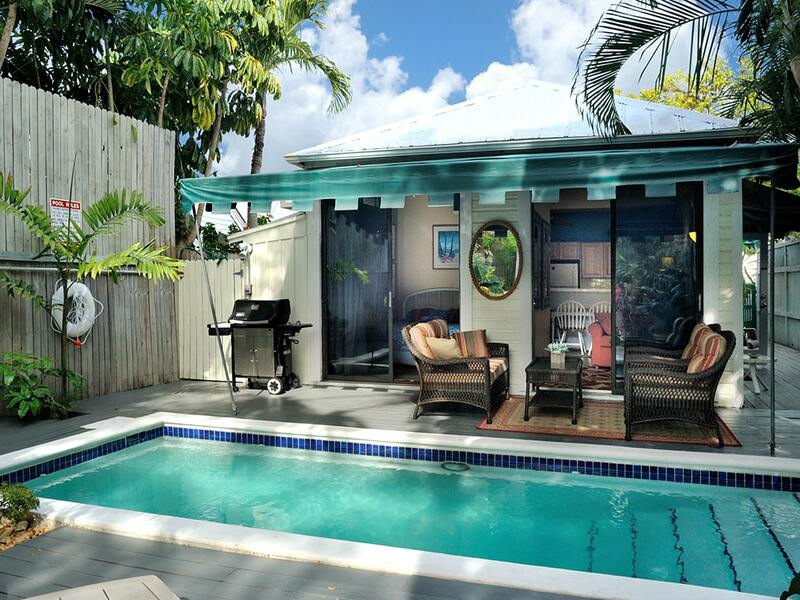 Cleverly staged in the island's city center, this downtown Key West rental is located in the 700 block of Duval Street, at the end of a narrow urban 'dead end' lane. Completely hidden from view on the 2nd and 3rd levels, spacious and creative renovation. Easy stroll to Mallory Square and South Beach. 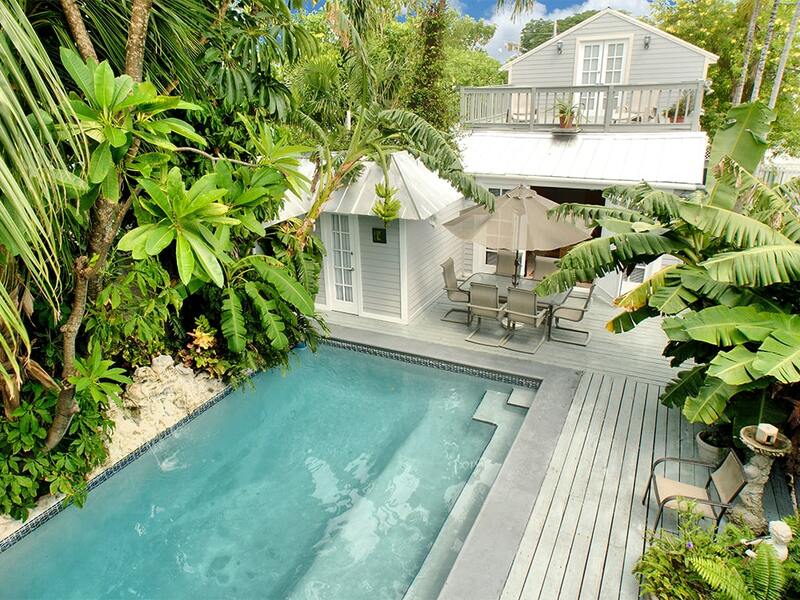 Overlooks large tropical garden with very large shared pool. 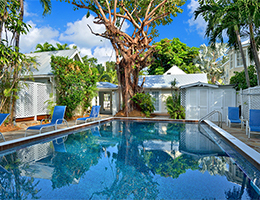 The Tree Tops Suite vacation rental is has a classic undying Key West charm that exudes a real down-island vacation feel. Approximately 750 square feet of living space offering an open floor plan joining the beamed ceiling living room and galley kitchen. 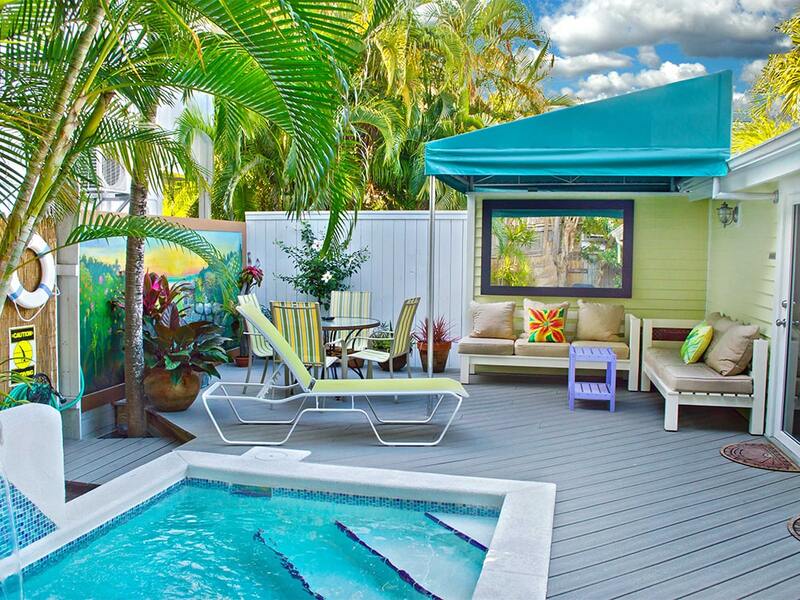 The allure of the bohemian style Garden Suite vacation rental comes from its one-of-a-kind architectural design, the original wood it is built with, the fun decor, and its authentic Key West pool garden setting. Garden Suite offers over 1200 square feet of living space and features a large living room with cathedral ceilings.